If you missed the last Community Council Meeting you missed our Board elections. We will miss having David Scheer’s knowledge and hard work! We welcome Dan Stevens of Swedetown! ‘Tis the season! It’s a joyful time of year, with family and friends and gift-giving. While you’re eyeing the blooming mound of shiny wrapped presents or brown paper packages/boxes… keep an eye out for others who may be stalking your stoop and mailbox! 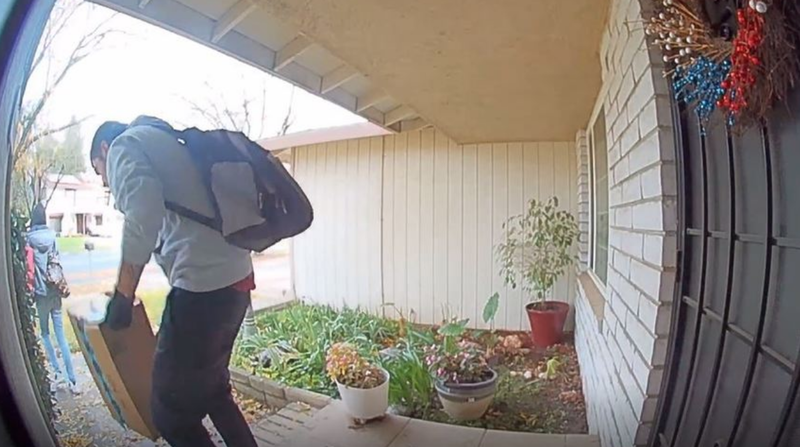 Three weeks ago, SLCPD officers, with the support of the SL County DA’s office and Amazon, Inc., mounted a sting to catch thieves stealing packages from porches. No one was caught. Police estimated their chance of catching someone in the act of stealing a package as 1/2300. The detective recommends residents have a secure place on their porch, such as a bin or locker, for deliveries. A package drop box can be installed at homes. Find an Amazon locker, here. Find UPS access points here. Gibic has gun locks available at no charge. Residents should not leave their cars unattended while warming up in their driveway. Thefts of vehicles left this way are common. SLCPD caught two thieves who stole two cars from a garage in the Avenues. How does the SLCPD grow to handle population growth? SLCPD is constantly hiring. If you know someone who wants an exciting job that helps the community, please have them contact SLCPD! 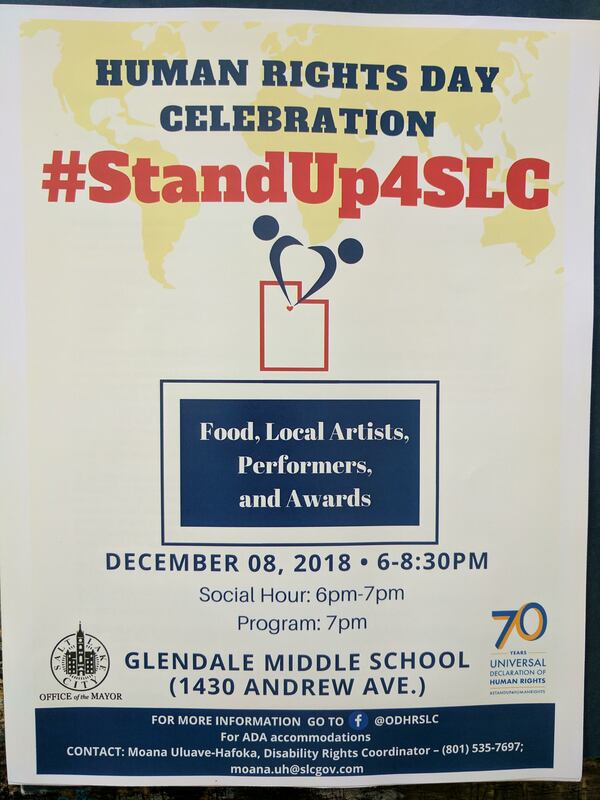 Human Rights Day Celebration see below. Public Utilities and Planning Staff are holding an Open House which will provide updates on the 4th Avenue Well Project. Glendale Middle School 1430 Andrew Ave.
4th Avenue Well Project Updates. Public Utilities and Planning Staff are holding an Open House on December 13th at the Marmalade Library from 6-8p. No CHNC Meetings in December! If you have an event for our CALENDAR or info you would like to see posted here, please email Anna here. Wishing you very happy holidays!! !